Spirit Voyage Proudly Presents: Activating Your Creative Power with Aykanna! This 4 part vlog series will help you get in touch with your true, creative self. Each week, we will post a new video for you to explore. 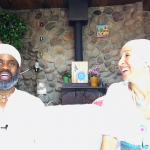 The space of love that Sukhdev and Akah live in pours through them into their teaching – allowing you to absorb all of the love and compassion that they exude. You can find their first class in this series here. You can find the second class in this series here. You can find the third class in this series here. 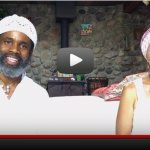 In the fourth of this 4 part vlog series, Sukhdev and Akah discuss birthing your own unique gift into the world. They speak of the frontal lobe and the pineal gland and activating those areas with specific drishtis, sound current, and navel pumps to become aligned with your soul and with the divine. The Sobhag Kriya given by Yogi Bhajan is a five part meditation that brings prosperity into your life. 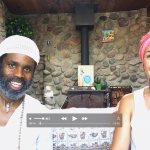 This video teaches the first part of the Sobhag Kriya. Position: Sit in Easy Pose with a spine straight (sit up straight). Elbows are by the sides, forearms angled up and outward with the fingers at the level of the throat. The begins with the palms facing down. Alternately hit the sides of the hands together. The Mercury (pinky) fingers and the Moon Mounds (located on the bottom of the palms) hit when the palms face up. When the palms hit facing down, the sides of the jupiter (index) fingers touch and the thumbs cross below the hands, with the right thumb under the left. Yogi Bhajan said that the thumbs crossing this way is the key to the meditation. Eyes: Look at the tip of your nose, through eyes 9/10th closed. Mantra: Chant the mantra “Har, Har.” Alternately strike the Moon area and the Jupiter area as you chant Har with the tip of your tongue, pulling the navel with each Har. Your eyes are focused at the tip of your nose. Chant continuously from the navel, using the tip of the tongue. Note: Part One can be done on it’s own for prosperity. 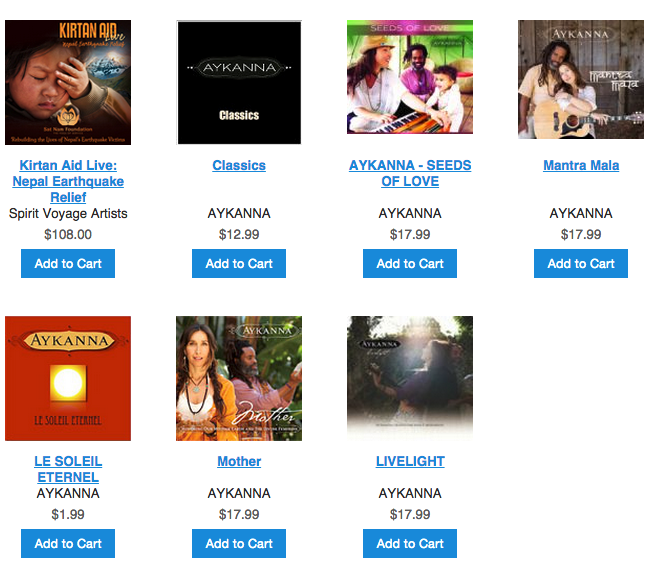 Check out Aykanna’s incredible music here!